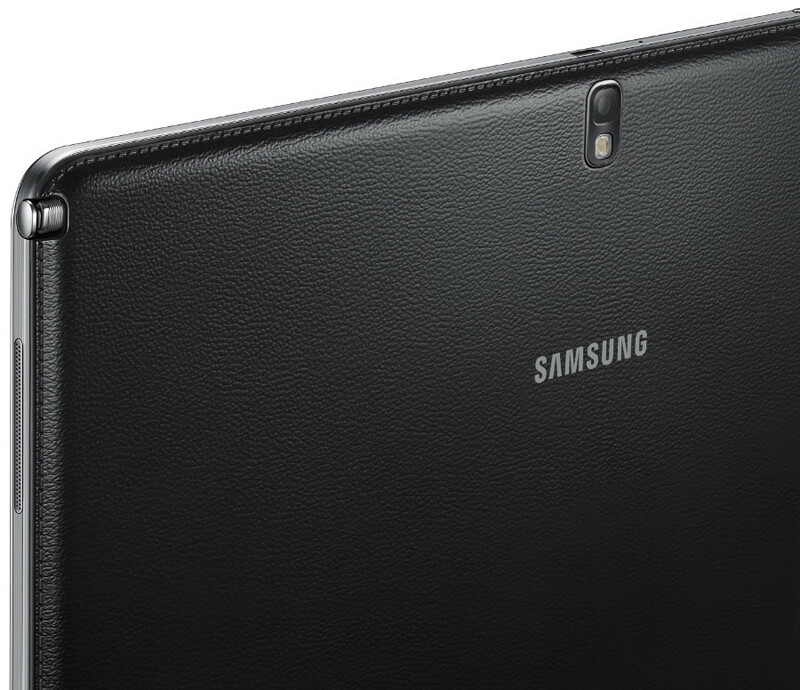 At the CES 2014 press conference, Samsung presented their new line of tablet devices, and one of then is this remarkable Galaxy Note Pro. What is so unique with Galaxy Note Pro? Just like its cousin from TabPRO series, galaxy Note Pro comes with a huge screen of 12. 2 inches with resolution of 2560 x 1600 pixels. as for the hardware, it is equipped with a Qualcomm Snapdragon 800 processor clocked at 2.3 GHz, 3 GB of RAM, 32 GB of expandable storage, an 8-mega-pixel digital camera, a 2 mega-pixel front camera, and a battery of 9500 mAh. 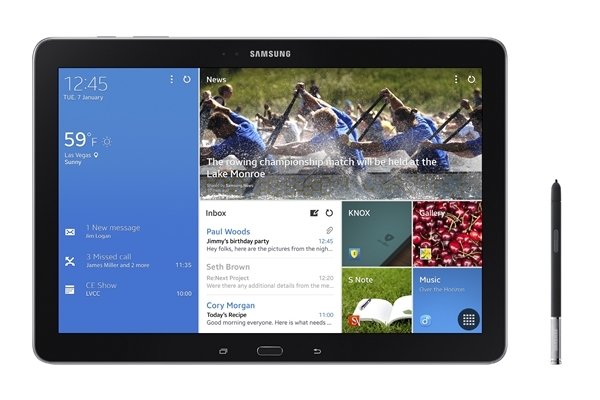 This tablet from Samsung runs the latest Android 4.4. operating system. Weighing only 753 grams, this elegant tablet is very versatile and convenient to use. As expected, on the back there is a faux-leather cover and as the Note rules require, it comes with a stylus on the back. In addition, Samsung plans to provide all potential users of Note Pro with compatible accessories such as keyboards or Bluetooth mouse. For now, Samsung has not given the specific release date info. We assume that Galaxy Note Pro would cost € 789 for the WiFi version and 849 € for the 4G release, however it is yet to be confirmed. This entry was posted in Uncategorized and tagged 2014, CES, Galaxy. Note Pro, Las Vegas, Samung, Tablet. Bookmark the permalink.